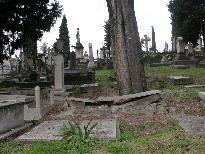 I became Custodian of Florence's so-called English Cemetery, owned by the Swiss Evangelical Reformed Church, in August 2000. 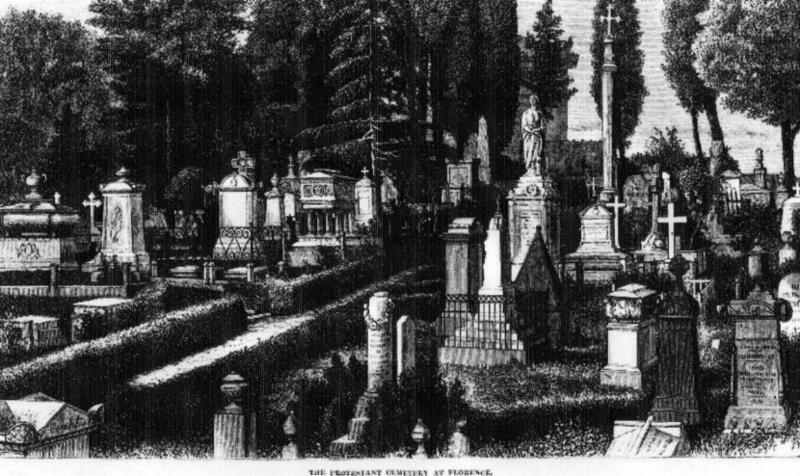 At that point this was the appearance of the Cemetery, from fifty years of neglect and the use of chemical weedkillers and gravel, though it had once been a most beautiful garden until the 1950s, a gardener and his family having been given the premises by the Comune in 1877. 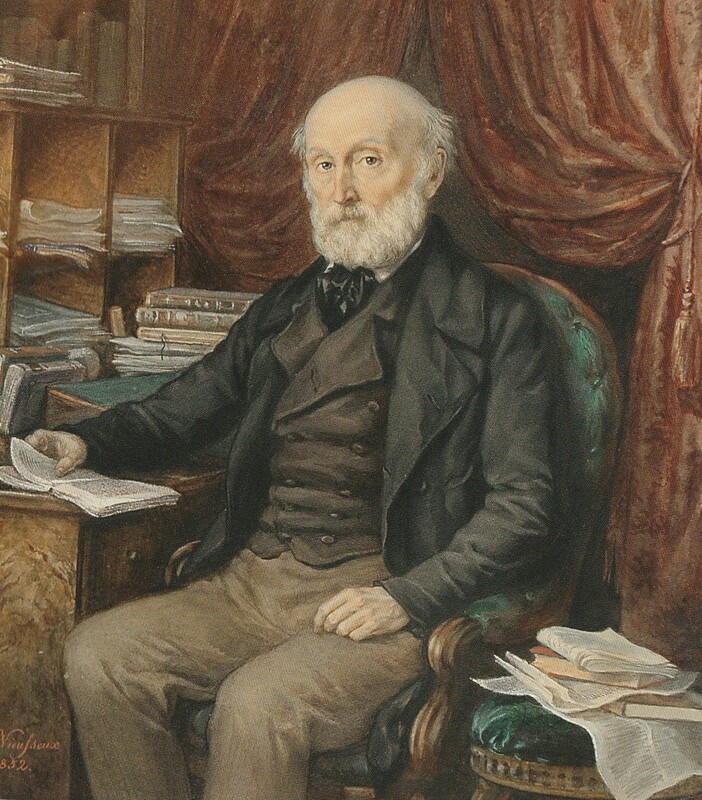 At first I was only allowed the library for which Carlo Steinhauslin encouraged the formation of a Friends of the Library Association. 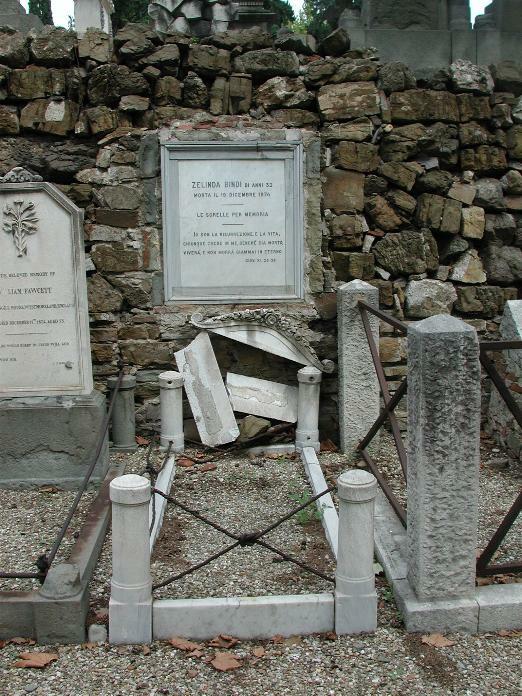 Next we found that there was a decision to shut down and abandon the English Cemetery on the part of its successor, the Allori Cemetery, because it seemed impossible to restore it. Only the President, the former Swiss Consul, Gerardo Kraft, myself, and the international public wanted to save the English Cemetery from this decision. 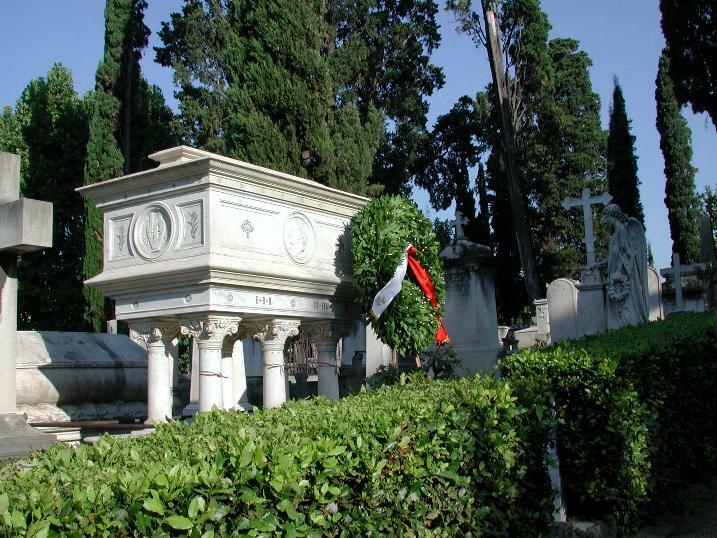 I proposed that our Aureo Anello Associazione now also serve as Friends of the Cemetery as well as of Friends of the Library and together we began a petition which garnered 6000 international signatures. 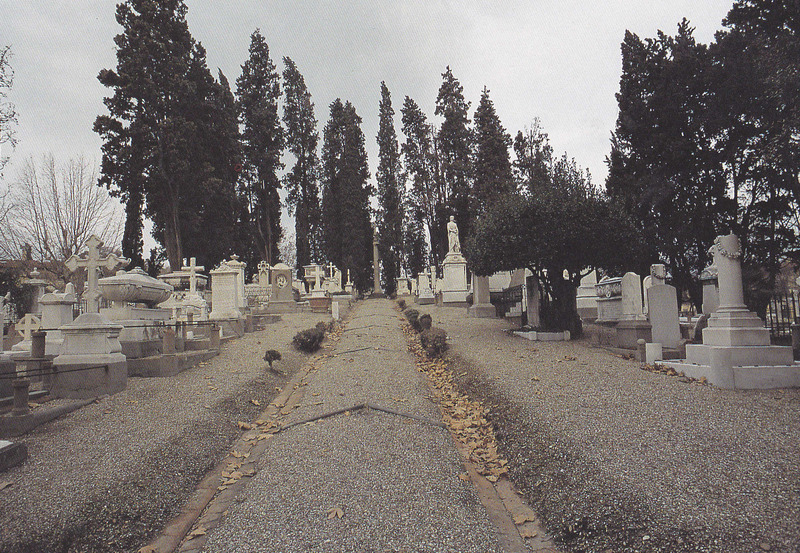 From the beginning we carried out an intense programme of research into all our tombs and all our burials, to valorize the cemetery, with the able assistance of descendants and scholars in the field, particularly Mikhail Talalay of the Russian Academy of Science for the Russian burials, and Anthony and Diana Webb for the English burials, as both nations kept archives, in St Petersburg and in London, of all their foreign burials, their churches acting as Civil Services, while the American burials were researched by Jeffrey Begeal. 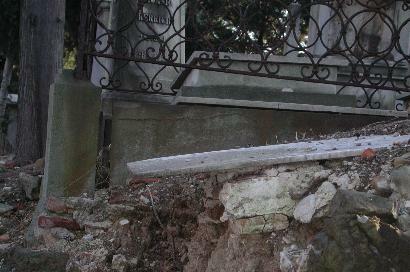 In 2001 a Romanian Roma family expertly restored the dry wall along the east side of the cemetery stopping the severe erosion in Sector D where the tombs previously were leaning and falling. 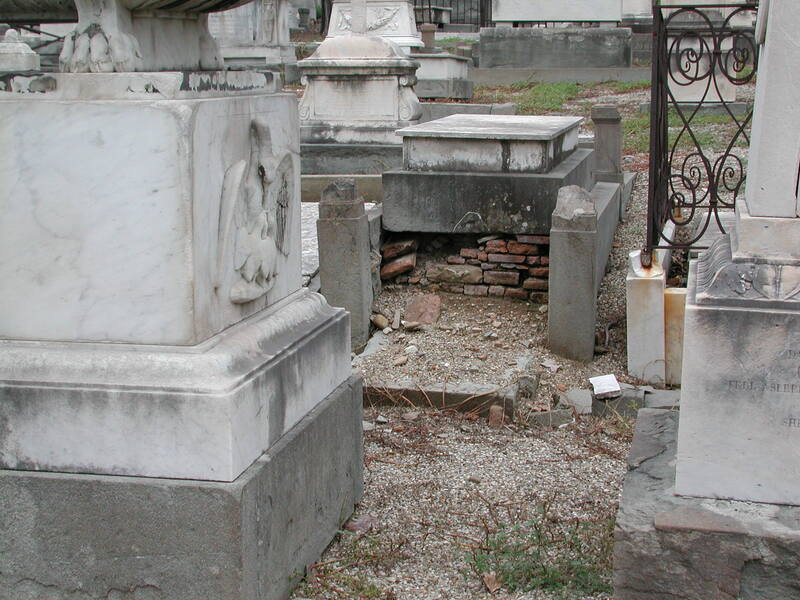 In 2003-2004, learning that the Cemeteries' Committee wanted to shut down and abandon Florence's English Cemetery, we launched a petition and an Emergency Appeal to raise funds for its restoration. I published the following account of the vandalism and degradation that needed to be put right urgently and sought funds for this. 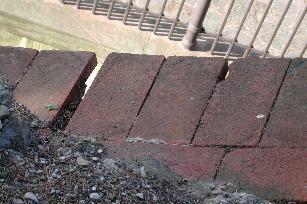 The second wall, of masonry, below the first one, now has broken or missing tiles to protect it from water seepage. 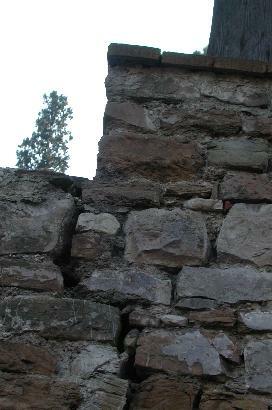 A detail of the eroded dry wall (now repaired). 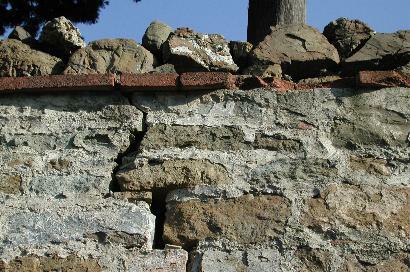 The cracks caused by the lack of protective tiles along the tops of the walls. 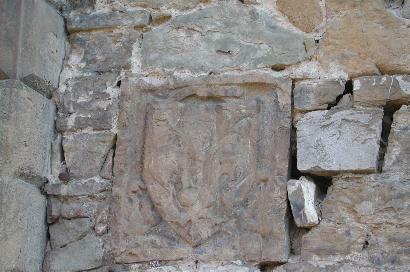 This image shows the shield with the lily, symbol of Florence, likely sculpted in Arnolfo di Cambio's workshop in the thirteenth century, originally on the medieval city gate of Porta a' Pinti, and then placed on the north wall of the cemtery, now at risk of being damaged if the wall itself is not repaired. 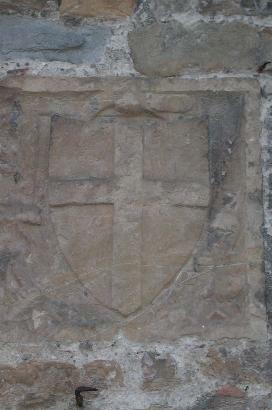 The Guelf coat of arms, from the same Porta a' Pinti, which at the Risorgimento was destroyed along with the medieval walls to the city of Florence. Now repaired. 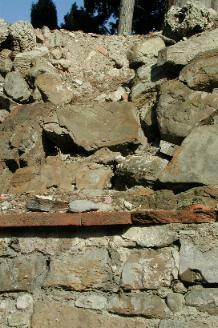 The falling wall exposed a tomb that leaned precariously over the edge. 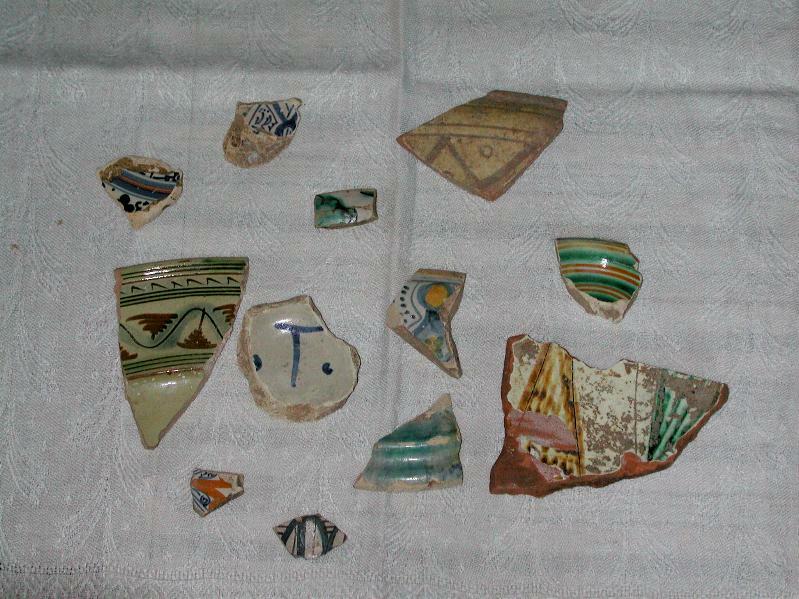 The hill of the cemetery was a medieval rubbish dump, and we often find fragments of hand-painted majolica pottery. 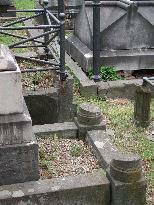 The earth subsides and consequently the tombs are subject to damage. 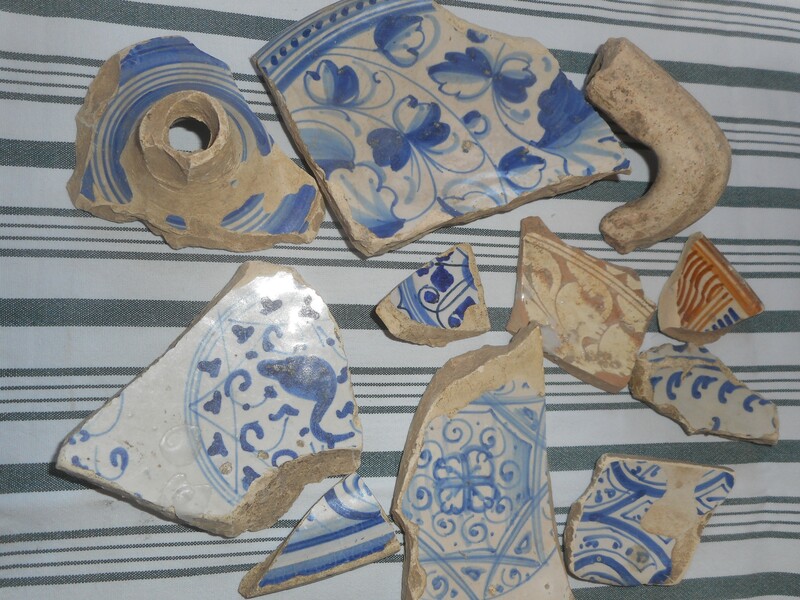 The blue T or crutch is from a piece of pottery, a cup or bowl used for a patient at the Santa Maria Nuova Hospital, . 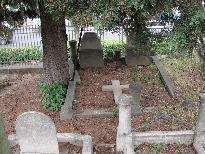 The Swiss Salvetti community in Florence with its closely clustered tombs side by side with those of the Gilli, dates back at least to 1800, while the Gilli family has been present here since 1733. 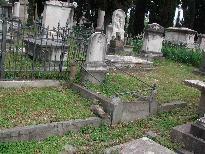 There are also Salvetti burials in the ancient Livorno delle Nazione/English Cemetery. 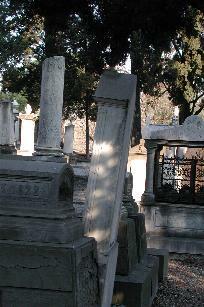 Urna e colonna. Marmista ignoto. Sec. XIX, post 8/1834. Ambito toscano. 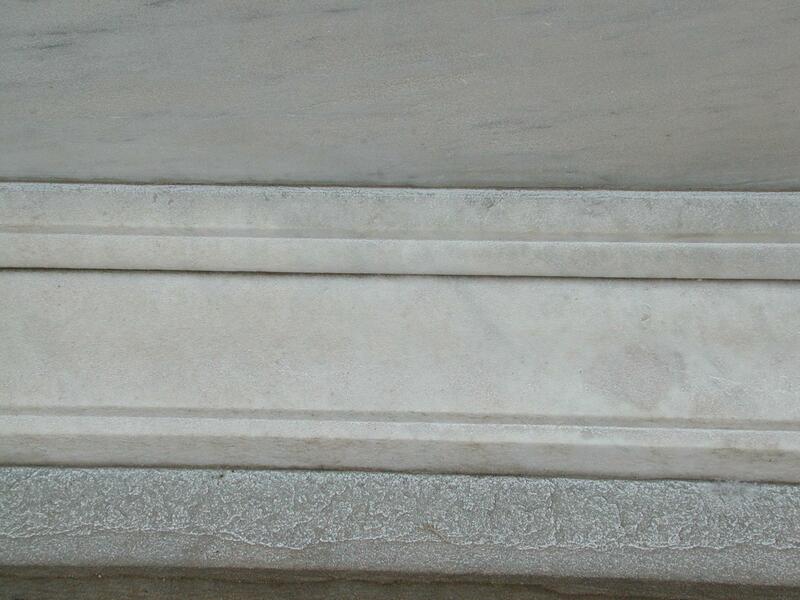 Urna con iscrizione entro tabula, urna caduta dalla colonna, colonna in marmo bianco. Possibile intervento di consolidamento. [M: A: 179; L/P: circum: 133; L: 56; P: 56; P.s. : A: 22; L: 85; P: 85.] Iscrizione sepolcrale in francese incisa in lettere capitali e numeri arabi: ICI SONT DEPOSES/ LE DEPOUILLES MORTELLES DE CATHERINE TOGNONO VEUVE SALVETTI/ QUI NACQUIT A BEVERS EN SUISSE LE 8 MARS 1767 ET MOURUT A FLORENCE LE 30/ AOUT/ J'AI COMBATTU LE BON COMBAT J'AI FINI/ MA COURSE JAI GARDE LA . . . / LA COURONNE DE JUSTICE . 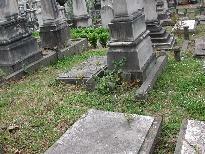 . . / Registro alfabetico delle persone tumulate nel Cimitero di Pinti: Salvetti/ Caterina/ Svizzera/ Firenze/ 30 Agosto/ 1834/ Anni 58/ 100/ See Giacomo Gaudenzio Salvetti. Chiesa Evangelica Riformata Svizzera, 1827-present. Nulla osta. 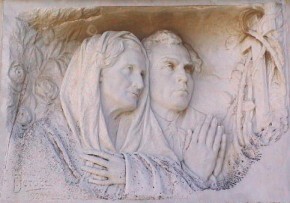 ALLA MEMORIA/ DI/ GIACOMO SALVETTI/ . . ./ Eglise Evangelique-Reformée de Florence Régistre des Morts: Jacques (Giacomo) Gaudenzio Salvetti, Bourgeois de Samaden, Canton des Grisons en Suisse, né e domicilié a Florence, celibatair, ancien negociant, fils de Gaudenzio Salvetti et de Catherine, née Tognioni, son épouse/ Q 146: 465 Paoli/ Registro alfabetico delle persone tumulate nel Cimitero di Pinti: Salvetti/ Giacomo Gaudenzio/ Gaudenzio/ Svizzera/ Firenze/ 11 Settembre/ 1854/ Anni 64/ 551/ See Catherine (Tognoni) Salvetti. Chiesa Evangelica Riformata Svizzera, 1827-present. Scultura. 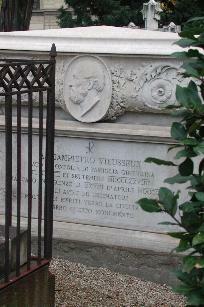 Scultore: Giuseppe Lazzerini, docente presso l'Accademia di Carrara, pellicano con la sua pietà, sacro cuore, fenice, ouroboros sul globo celeste, faci capovolte, e 16 ancore a simboleggiare Fede, Speranza, Carità (virtù teologali), Risurrezione ed Eternità. Possibile intervento di pulitura. [M: A: 295; L: 93.5; P: 93.5.] Iscrizione sepolcrale in francese incisa in lettere capitali e numeri romani e arabi: CLARA MATHILDE WETZYNTHUS/ NEE SALVETTI/ NEE A FLORENCE LE 2 JUILLET MDCCCII/ MORTE LE 8 SEPTEMBRE MDCCCLXIII/ J'AI COMBATTUE LE BON COMBAT/ J'ACHEVE MA COURSE J'AI GARDE LA FOI/ II TIM IV.7/ QUOIQU'IL EN SOIT IL EST MON ROCHER/ MA DELIVRANCE ET MA HAUTE/ RETRAIT/ JE NE SERAIT POINT EBRANLE/ PS LXII.7// TU NE REVIENDRAS PLUS VERS NOUS/ O MERE CHERIE/ MAIS NOUS IRONS VERS TOI!/ NOUS PLEURONS ET NOUS GEMISSONS/ MAIS NON PAS COMME SEUX/ QUI N'ONT POINT D'ESPERANCE// L'AGNEAU QUI EST AU MILIEU DU/ TRONE LES PAITRA ET LES CONDUIRA/ AUX SOURCES D'EAUX VIVES ET DIEU/ ESSUIERA TOUTE LARME DE LEURS YEUX/ APOC VIII.17/ Eglise Evangelique-Reformée de Florence Régistre des Morts: Clara Mathilde Wetzinthius, veuve de George Thomas, Suisse, rentière, fille de Gaudenz Salvetti/ Registro alfabetico delle persone tumulate nel Cimitero di Pinti: Salvetti in Westzynthius/ Clara Matilde/ Gaudenzio/ Svizzera/ Firenze/ 8 Settembre/ 1863/ Anni 62/ 845/ Belle Arti 1993-1997 scheda. Chiesa Evangelica Riformata Svizzera, 1827-present. Urna su colonna. Marmista: Francesco Giovanozzi. Sec. 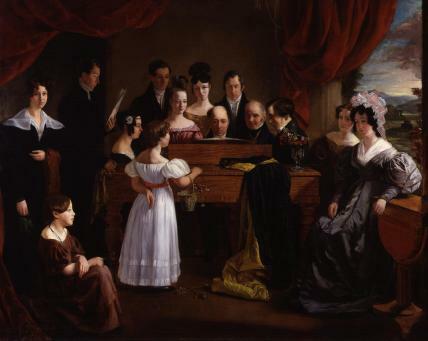 XIX, post 7/1833. Ambito toscano. 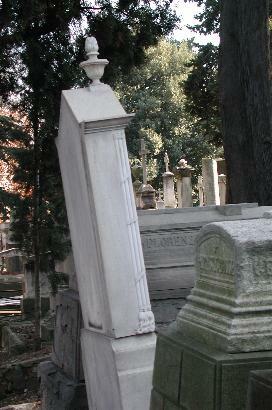 Colonna in marmo sormontata da un'urna, iscrizione incisa. Possibile intervento di consolidamento e pulitura. [M: A: 162; L/ P circum: 122; P.s. A: 10; L: 50; P: 50.] 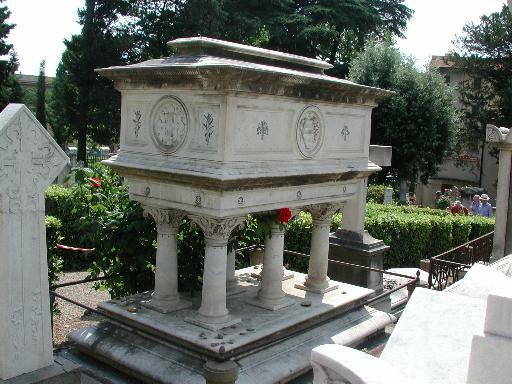 See N° 80 1828-1844/ II: 1859-1865 'Registre des Sepultures avec detail des frais, Francs 366.99/ Registro alfabetico delle tumulazioni nel Cimitero di Pinti: Wetzynthius/ Giorgio Tommaso/ / Svezia/ Firenze/ 29 Luglio/ 1833/ Mesi 30/ 79/ See Salvetti. Chiesa Evangelica Riformata Svizzera, 1827-present. Urna su colonna. Scultore: P.Bazzanti.F Sec. XIX, post 5/1830. Ambito toscano. Colonna in marmo bianco sormontata da un'urna, iscrizione entro tabula. [M:: A: 189; circum: 128; L: 52; P: 52.] Iscrizione sepolcrale incisa in lettere capitali e numeri arabi: CATERINA SALVETTI/ L'ANCILLA PER LA DOLE E COSTUITI/ PREGIATA/ MORTA IL 30 MAGGIO 1830/ QUESTO TITOLO DI DOLORE/ LA MADRE E I FI..LI POSERO/ Registro alfabetico delle persone tumulate nel Cimitero di Pinti: Salvetti/ Catarina/ / Svizzera/ Firenze/ 30 Maggio/ / 1830/ 36. Chiesa Evangelica Riformata Svizzera, 1827-present. Nulla osta. 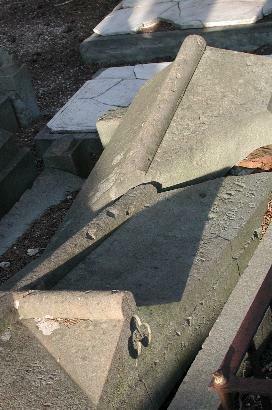 Base of above Swiss tomb showing how supporting slab has fallen against next tomb, causing the column with urn to lean dangerously. 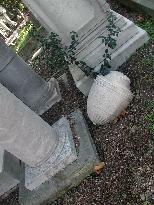 This column and urn is just above the tomb of Theodore Parker. 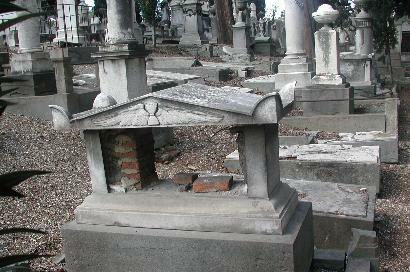 Funds were received from Aureo Anello to have the Allori stonemason straighten this tomb but he did not carry it out. Cippo. Marmista ignoto. Sec. XIX, post 8/1865. Ambito toscano. Cippo caduto. Intervento di pulitura Scuola per l'Arte ed il Restauro di Palazzo Spinelli, 2008. Intervento di consolidamento, Gheorghe Petrache, 2009. [M: A: 107; L: 54; P: 18; R: A: 25; L: 90; P: 170.] Iscrizione sepolcrale in inglese incisa in lettere capitali e numeri arabi: WIFE AND SON/ OF/ FRANCIS WOODALL/ BORN IN KENTUCKY, U.S.A./ DIED IN FLORENCE/ AUGUST 12 1865/ Eglise Evangelique-Reformée de Florence Régistre des Morts: Allen F. Woodall, Lexington, Amerique/ II: 1859-1865 'Registre des Sepultures avec detail des frais, Francs 175.55/ Timothy Bigelow Lawrence, Consular Records, Bigelow to Seward, Death of Allen F. Woodall of Convington, KY, Died of consumption, 12 August 1864/ Registro alfabetico delle persone tumulate nel Cimitero di Pinti:Woodall/ Allen F. / / America/ Firenze/ 12 Agosto/ 1864/ Anni 37/ 876/ N&Q 375. Francis A. Woodall, b. in Kentucky, ob. 12 Aug., 1865. Erected by his w. and son/ Eglise Evangelique-Reformée de Florence Régistre des Morts: Norma Pierucci née Woodwall, l'Amerique]/ III: 1865-1870 'Registre des Sepultures' avec detail des frais, from 2 to 1 class, 177 Francs/ Registro alfabetico delle persone tumulate nel Cimitero di Pinti: Woodall nei Pierucci/ Norma/ / America/ 29 Settembre/ 1864/ Anni 22/ 880]/°=Polk Laffoon, Chiesa Evangelica Riformata Svizzera, 1827-present. Cippo. Marmista ignoto. Sec. XIX, post 7/1875. Ambito toscano. 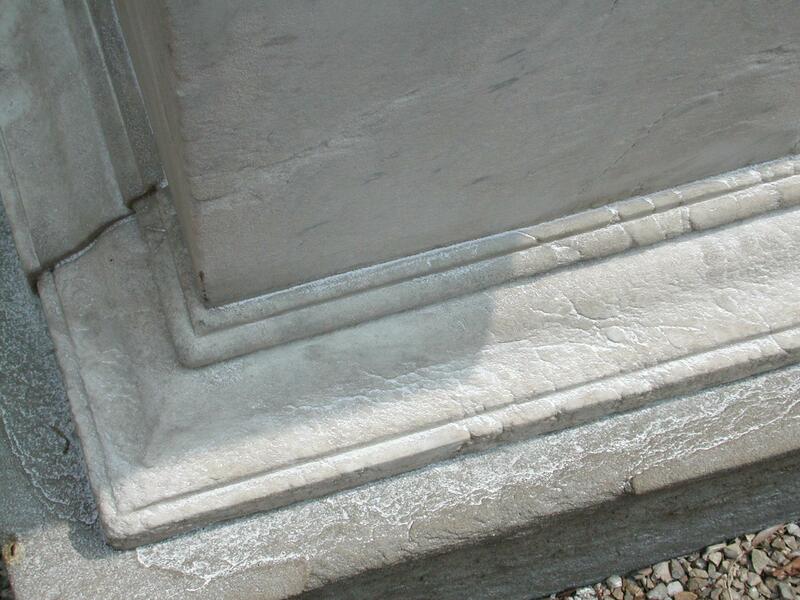 Cippo in marmo bianco, scolpito con bassorilievo, molto danneggiato, basamento in pietra serena, pietra serena molto erosa, recinto in ferro. Intervento conservativo sul ferro Daniel Dumitrescu, 2008. 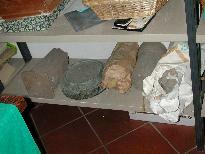 Cippo crollato nel 2004 dall'erosione della base di pietra serena. Possibile intervento di ripristino. [M: A:120; L: 59.5; P: 8.7; P.s. A: 31; L: 81.4; P: 31.2; RP.s.F: A: 62; L: 90; P: 208.] Iscrizione sepolcrale in inglese in lettere capitali e numeri arabi in piombo applicate e numeri arabi: SUSAN M. DALTON/ BORN IN BOSTON/ APRIL 26/ 1833/ DIED IN FLORENCE/ DEC 6 1875/ WELL DONE GOOD AND FAITHFUL SERVANT, ENTER THOU INTO THE JOY OF THY LORD [Matthew25.21]/ 1336/ Registro alfabetico delle persone tumulate nel Cimitero di Pinti: Dalton/ Susanna Maria/ Giacomo/ Inghilterra/ Firenze/ 6 Dicembre/ 1875/ Anni 42/ 1336/ N&Q 259. 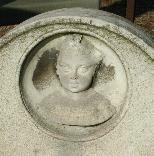 Susan M. Dalton, b. in Boston, 25 Ap, 1833 r ob. 6 Dec., 1875. Chiesa Evangelica Riformata Svizzera, 1827-present. Nulla osta. 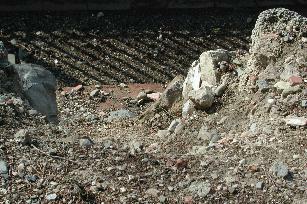 Tombstone that fell, April, 2003, likely from mould in the cement which we could clearly smell. 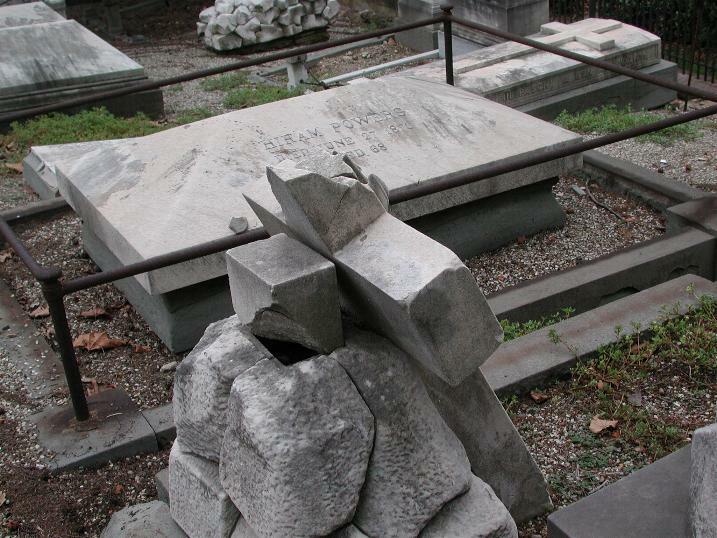 With the movement of the terrain some of the tombs break like this. 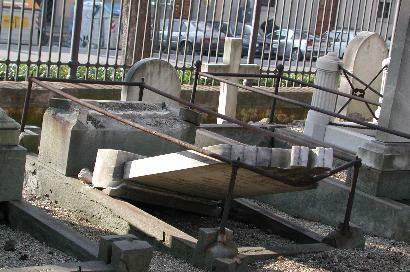 Tomba in forma di croce. Marmista ignoto. Sec. XIX, post 10/1862. Ambito toscano. 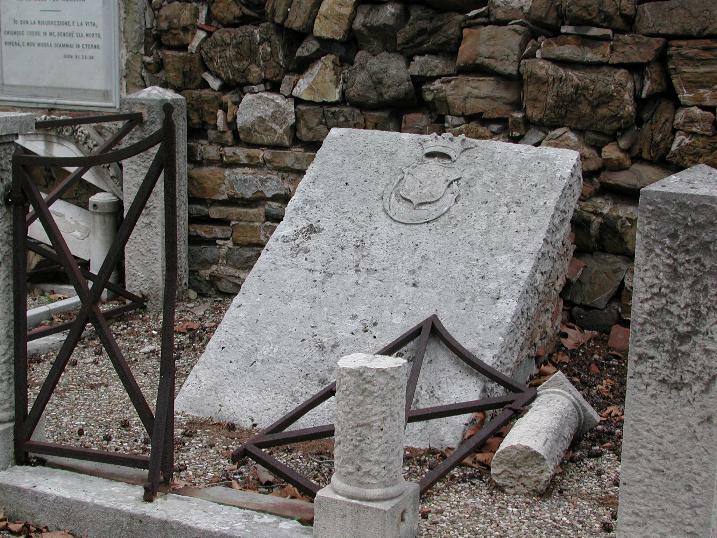 Tomba in pietra serena in forma di croce orizzontale, ora spezzata. Possibile intervento di consolidamento. [P.s. A: 187; L: 72; P: 34; RP.s. : A: 37.5; L: 107; P: 225.] Iscrizione sepolcrale in inglese incisa in lettere capitali e numeri arabi, quasi illeggibile. Richard Woodworth, l'Angleterre, fils de William Woodworth et de Rose Anna/ Obituary, Times, Freeman's Journal, Manchester Times, Richard, eldest son of Mr William Woodward, Ashfield House/ Registro alfabetico delle persone tumulate nel Cimitero di Pinti: Woodward/ Riccardo/ Guglielmo/ Inghilterra/ Firenze/ 14 Ottobre/ 1862/ Anni 36/ 810/ +/ N&Q 415. 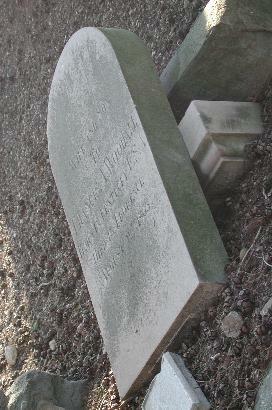 Richard Woodward, of Manchester, ob 14 Oct., 1862, a. 38. Chiesa Evangelica Riformata Svizzera, 1827-present. 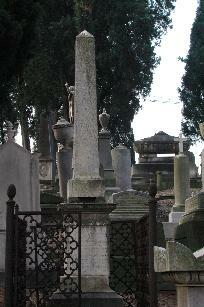 Colonna spezzata. Marmista ignoto. Sec. XIX, post 1835. Ambito toscano. Colonna spezzata incisa in marmo bianco. [M: A: 103; L: 60; P: 60; P.s. A: 38; L: 86; P: 86.] Iscrizione sepolcrale latina incisa in lettere capitali e numeri romani e arabi: ERNESTUS JONAS FREDERICUS KJELLANDER PHILOSOPHIAE MAGISTER ET AD ACADEMIAM UPSALIENSEM DOCENS/ NATUS D. V DEC 1812/ OBIIT D. XXIII JAN 1835/ HAEC EST VITA AETERNA UT TE COGNOSCANT SOLUM/ VERUM DEUM ET QUEM TU MISISTI JESUM CHRISTUM/ JOH. 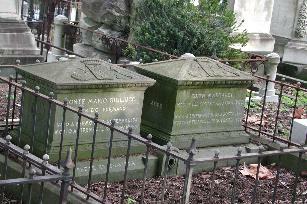 XVII.III// 113/ Registro alfabetico delle tumulazione nel Cimitero di Pinti: Kjellander/ Ernesto Giona/ / Svezia/ Bonconvento/ Giugno/ 1835/ Anni 22/ 113. Chiesa Evangelica Riformata Svizzera, 1827-present. Lastra. Marmista ignoto. Sec. XIX, post 2/1864. Ambito toscano. 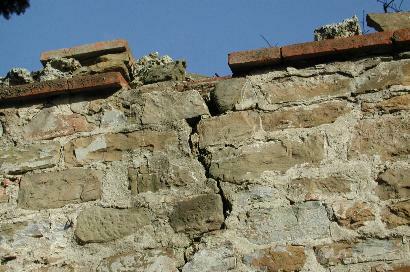 Recinzione in ghisa restaurata, Romagnoli, 2008. [M: A: 8.5; L: 146; P: 72.5; P.s. A: 20; L: 155; P: 82; RP.s.F: A: 144; L: 205; P: 121.] Iscrizione sepolcrale incisa in lettere capitali e numeri arabi: QUI RIPOSA/ LA MARCHESA JEANNETTE RUSCONI/ NATA DE BEAUFOY FIELD/ VEDOVA FABRI IN PRIME NOZZE/ INGLESE DI PATRIA/ . . . LIVORNO/ IL MARCHESE ACHILLE RUSCONI/ DI LEI MARITO/ VOLLE QUI FOSSE DEPOSTA/ PERCHE DORM . . . /ESULTASE LO SPIRITO DI CLARA WALSH/ CHE FU CUGINA ED AMICA/ QUESTA LAPIDE POTESSE . . ./ DEFUNTA/ Records, Guildhall Library, London: GL23777/1 N° 342, Burial 25/02/64, Rev Isaac King/ Registro alfabetico delle tumulazione nel Cimitero di Pinti: Rusconi Vedova Fabbri nata Beaufoy Field/ Giovanna/ Inghilterra/ Livorno/ 22 Febbraio/ 1864/ Anni 32/ 863/ See Field Beaufoy/ CLARA WALSH/ ENGLAND/ Clara Walsh, l'Angleterre/ CemArchives 3: 815 Claire Walsh F499.55/ 816 Claire Walsh F39.40/ GL23777/1 N° 318 Burial 13/02 Rev Ponton, 'inward complaint'/ Walsh/ Clara/ / Inghilterra/ Firenze/ 11 Febbraio/ 1863/ Anni 63/ 815/ See tomb of the Marchesa Jeannette Rusconi. Chiesa Evangelica Riformata Svizzera, 1827-present. 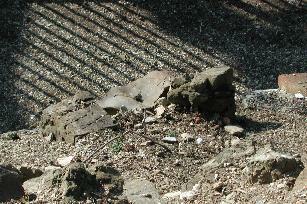 Two years ago this wrought iron fence was intact, recently it collapsed. 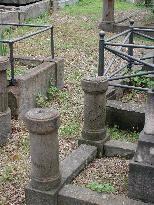 There are other fine iron structures in the cemetery, both to protect and to decorate the tombs, in need of restoration. Sarcofago. Marmista ignoto. Sec. XIX, post 4/1863. Ambito toscano. 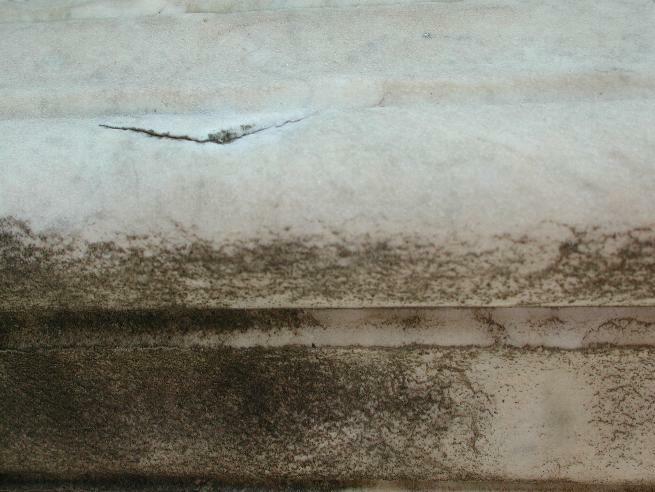 Sarcofago in marmo bianco scolpito con medaglione, foglie di quercia, olivo, felce. 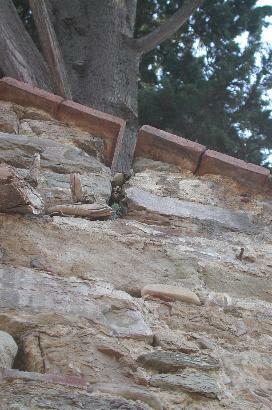 Restaurata: Opificio delle Pietre Dure e Palazzo Spinelli. [M: A: 130; L: 180.8; P: 57; P.s. A: 37; L: 188.5; P: 67.] Iscrizione sepolcrale in piombo in lettere capitali e numeri romani: / PX/ A GIAMPIETRO VIEUSSEUX/ NATO IN ONEGLIA DI FAMIGLIA GINEVRINA/ IL XXVIIII DI SETTEMBRE MDCCLXXVIIII/ MANCATO IN FIRENZE IL XXVIII D'APRILE MDCCCLXIII/ GLI AMICI ED ESTIMATORI/ DEI MOLTI SUOI MERITI VERSO LA CIVILTA' ITALIANA/ POSERO QUESTO MONUMENTO/ [Swiss Cross]/ Eglise Evangelique-Reformée de Florence Régistre des Morts: Jean Pierre Vieusseux, Genève, rentier, fils de Pierre Vieusseux et de Jean Elisabeth, née Vieusseux/ Registro alfabetico delle tumulazione nel Cimitero di Pinti: Vieusseux/ Gio: Pietro/ Pietro/ Svizzera/ Firenze/ 28 Aprile/ 1863/ Anni 83/ 828/ Belle Arti scheda, 1993-1997. Chiesa Evangelica Riformata Svizzera, 1827-present. Lastra in marmo con lettere in piombo. Intervento di restauro Meridiana Restauri, Alberto Casciani, 2006. Barfucci afferma che la lastra originaria fu sostituita nel 1946. 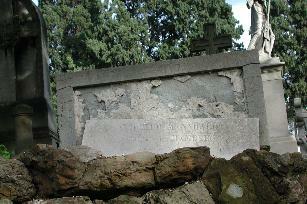 Nel settore B cippo con il nome ad indicare la collocazione della tomba. [M: A: 4.5; L: 69; P: 141; P.s. : A: 38; L: 78; P: 151.] 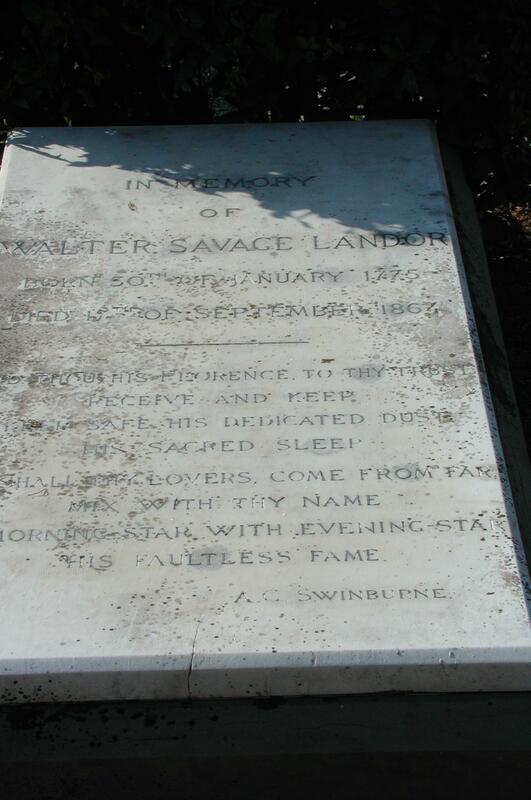 Iscrizione sepolcrale in inglese in lettere capitali e numeri arabi, incisa: IN MEMORY OF/ WALTER SAVAGE LANDOR/ BORN 30th OF JANUARY 1775/ DIED 17th OF SEPTEMBER 1864/ AND THOU HIS FLORENCE TO THY TRUST/ RECEIVE AND KEEP/ KEEP SAFE HIS DEDICATED DUST/ HIS SACRED SLEEP/ SO SHALL THY LOVERS COME FROM FAR/ MIX WITH THY NAME/ MORNING STAR WITH EVENING STAR/ HIS FAULTLESS FAME/ A.G. SWINBURNE / Eglise Evangelique-Reformée de Florence Régistre des Morts: Walter Savage Landor, l'Angleterre/ II: 1859-1865 'Registre des Sepultures avec detail des frais, Francs 387.88/ Records, Guildhall Library, London: GL23777/1 N° 348 Burial 19/09, Rev Pendleton/ Registro alfabetico delle tumulazioni nel Cimitero di Pinti: Landor/ Gualtiero Savage/ / Inghilterra/ Firenze/ 17 Settembre/ 1864/ Anni 90/ 879/ Thomas Adolphus Trollope, What I Remember, II.244-262, notes Landor and the Garrows knew each other well from Devon days, gives Landor's letter about Kate Field's Atlantic Monthly article mentioning the Alinari photograph of himself/ N&Q Walter Savage Landor, ob. 17 Sept 1864/ NDNB entry/ Freeman, 223/ Belle Arti scheda/°=Gen. 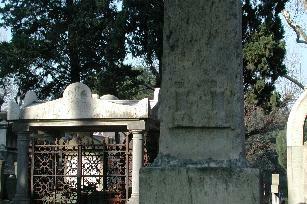 Pier Lamberto Negroni Bentivoglio. Chiesa Evangelica Riformata Svizzera, 1827-present. 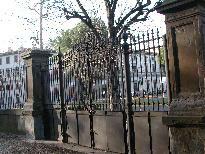 In 2005 I paid €1000,00 for the curved railings at the entrance as before it was too difficult for elderly and handicapped people to visit the cemetery. I also painted the gates to stop the rivers of rust that poured down the steps in every rain storm. I talked with the Opificio delle Pietre Dure and with Bruno Santi of the Soprintendenza for help for the English Cemetery as it was in very poor condition. 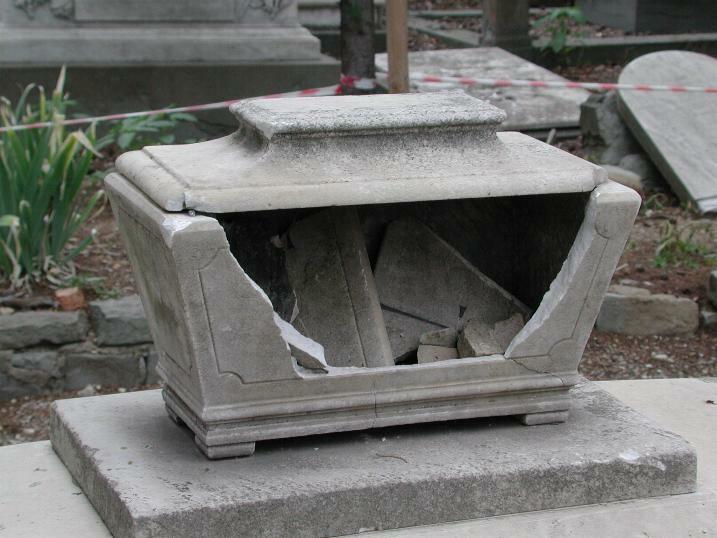 I asked Bruno Santi's permission for Iris Fromm, Master Mason, to repair the most conspicuously vandalized and broken tombs and paid €2000,00 for her to come with her truck and materials from Bavaria. 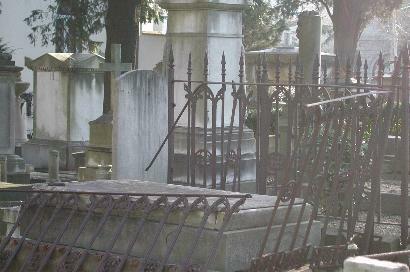 She arrived 13 October and worked through 13 November, restoring 23 tombs of 28 burials. 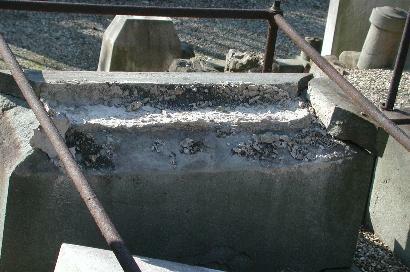 Base has been cemented, slab remounted. The top square of marble was broken in four pieces and the cross was loose and would have fallen in a high wind and smashed. Iris Fromm lifted out the cross, took the unstable base apart, removed the old metal inside, placed a new pern, cleaned the whole, and with the help of two Checcucci relatives, placed back the cross in the rebuilt, repaired base. 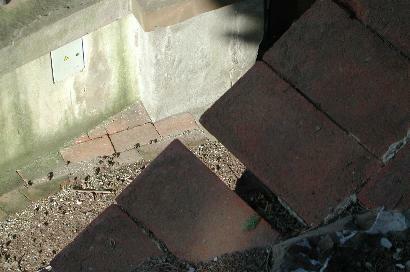 The American Boston-born Cornelia Amory Goddard Loring's tomb was about to fall from its base being compromised, the aging cement having disintegrated. 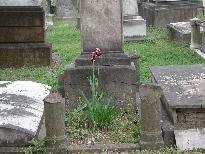 Iris Fromm has cleaned and stabilized the tomb. 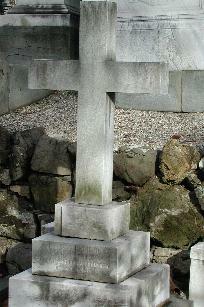 Iris Fromm has cleaned this German tomb. 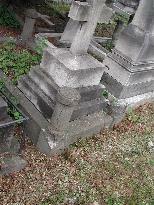 Iris Fromm cleaned this tomb and repaired its unstable base. 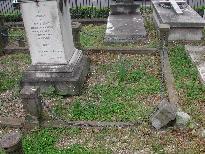 Iris Fromm partially cleaned this large tomb to the American Mary Louisa King. 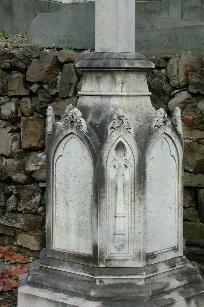 The base to this tomb was cemented, the broken pieces glued together, the whole cleaned and placed back in its base. There was no 'before' picture. 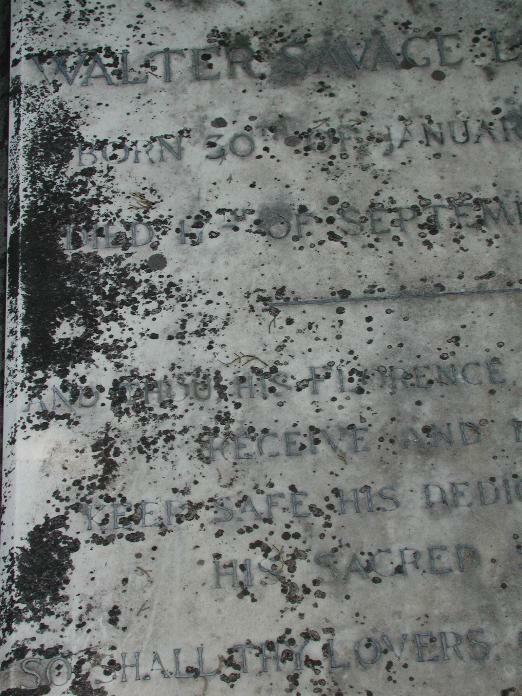 Iris Fromm placed back the marble plaque into the repaired pietra serena of the tomb of the two Mannhardt children. JOHANNES SCHMID/JOHN SMITH/ ENGLAND/ Smith/ Giovanni/ Giacobbe/ Inghilterra/ Firenze/ 31 Marzo/ 1874/ Anni 57/ 1255/ Jean Schmidth, L'Angleterre, fils de Jacob Schmith/ HIER RUHET IN GOTT/ JOHANNES SCHMID/ LICENT. THEOL. . . ZU FRAUENDELF (C . . ./ GEB DEN 4 JAUNAR 1817/ GEST DEN 31 MAERZ 1874/ KOMMET HER ZY MIR ALLE/ DIE IHR MIIHSELIG UND BELADEN/ SEID ICH WILL EUCH ERQUICKEN/ MATTH. 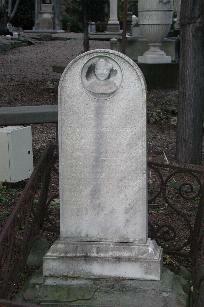 11.23/ F18B/ See John Smith, England (whose death date is the same), and James Smith, likely the father. 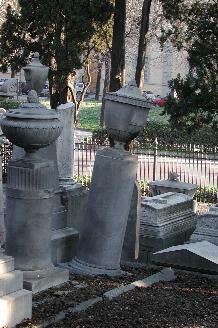 Baron Blome's urn smashed by falling cypresses, repaired by Iris Fromm. 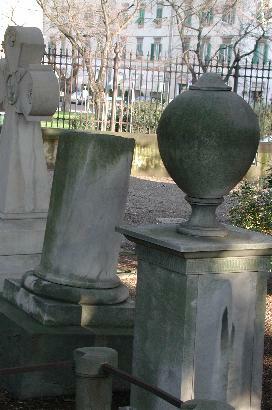 Iris and Axel consulted on repair of fallen urn to Delisser tomb damaged by falling cypress this summer. 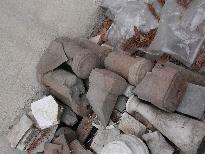 Axel found the pieces, on the ledge to his left, and replaced them on top of the urn. 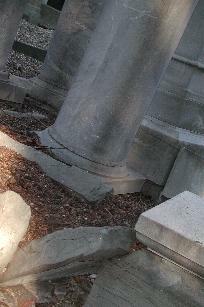 They hardened the marble column which was crumbling into powder. 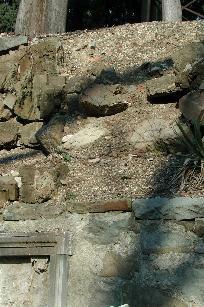 Corner of tomb damaged by falling cypress. Axel found the piece and reattached it. 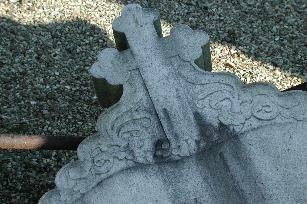 The piece in the slot actually fitted onto the top of the cross. This was corrected. 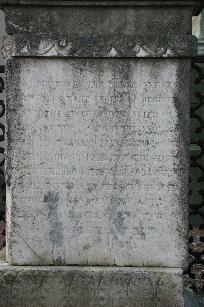 The tomb of Edward Porteus was not restored as the central slab was too heavy to lift. 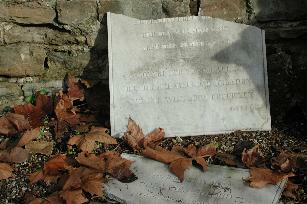 Edward Porteus was friend and associate of Florence Nightingale and associated with the Battle of Waterloo. Monumento. 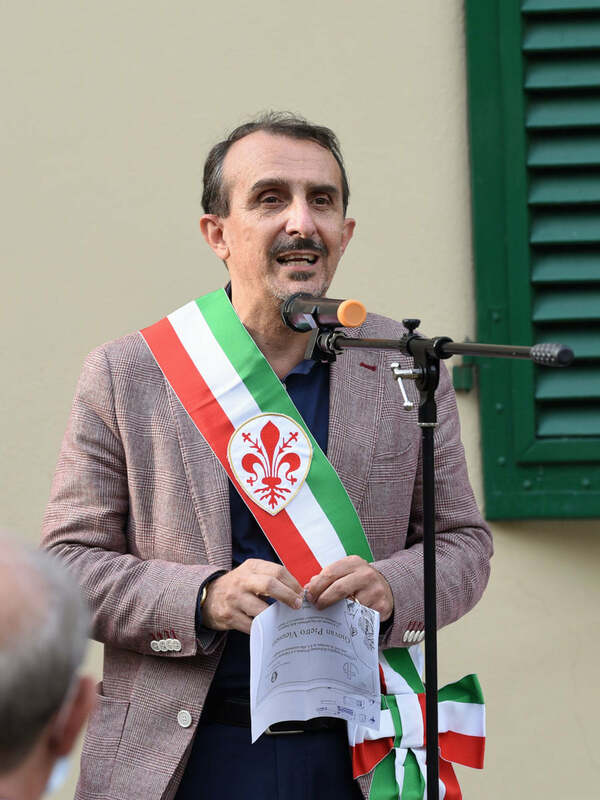 Scultore: Emanuele Caroni. Marmista ignoto. Sec. XIX, post 12/1851. Ambito toscano. 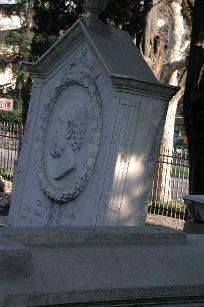 Busto, 'Ispecteur de ce Cimitiere', orfano e vedova vestita in gramaglie accanto a colonna spezzata inghirlandata. Possibile intervento di pulitura. [M: A: 370; L: 146.2; P: 68; RP.s. A: 372; L: 255; P: 245.] Iscrizione sepolcrale in lingua francese incisa in lettere capitali e numeri arabi: CI GIT/ CHARLES WITAL ISPECTEUR DE CE CIMITIERE . . .// BON FILS, TENDRE EPOUX, COEUR AMANT ET DEVOUE/ TU PROTEGEAS LA VEUVE, TU SERVIS DE PERE A L'ORPHELIN/ NOTRE RECONNAISSANCE ET NOS REGRET ONT CONSACRE/ CE MARBRE A LA MEMOIRE MAIS TU AS DANS/ NOS COUERS, OU VIT TON SOUVENIR UN MONUMENT/PLUS DIGNE DE TOI/ Eglise Evangelique-Reformée de Florence Régistre des Morts: Charles Wital, Sins, Canton des Grisons en Suisse, domiciliée à Florence, Proprietaire, fils de Gaudenzio Wital, et de Marguerite, sa femme/ Registro alfabetico delle tumulazioni nel Cimitero di Pinti: Wital/ Carlo/ / Svizzera/ S. Andrea/ 16 Dicembre/ 1851/ Anni 45/ 468/ See Hely, Roulet/ Belle Arti 1993-1997 scheda. Chiesa Evangelica Riformata Svizzera, 1827-present. 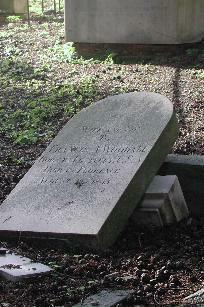 The tomb we thought was to Isaac Lumley but is not. 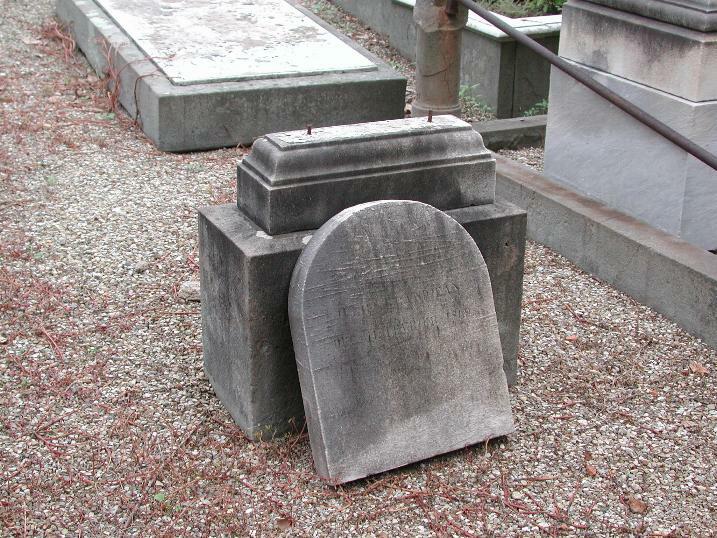 The two Checcucci tombs were researched by their descendants in Australia and in Grenoble who shared their archival materials with us, hence we were able to recover most of the inscriptions. 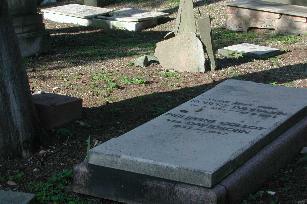 We have the photograph of the Elvira Garinei, who is mentioned on her mother Selina's tombstone. Tomb repaired with the missing inscription, recovered from a 1960 photograph in Australia, by a German student friend of Iris', and delivered to Florence the following spring. 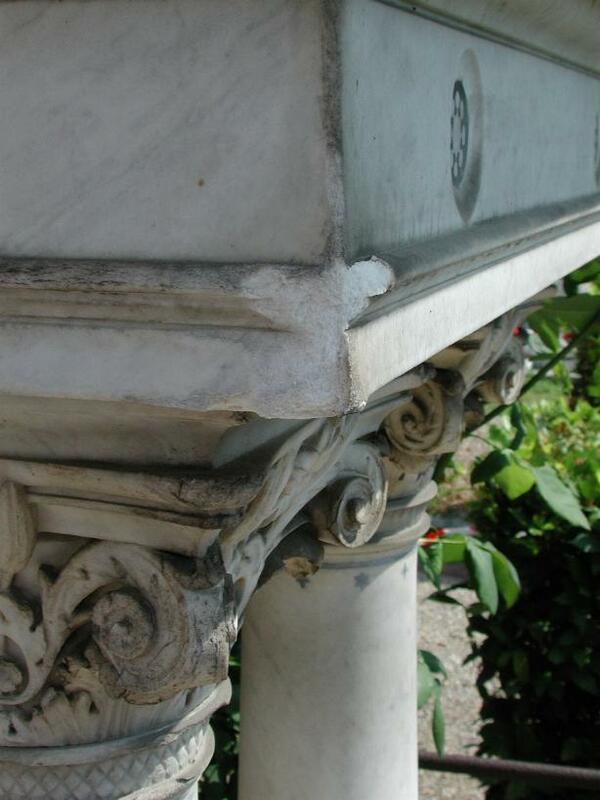 In 2006 I raised the funds through the Emergency Appeal to have Elizabeth Barrett Browning's tomb restored, as the marble columns supports were crumbling away into sugar and the sarcophagus was at risk of collapsing, CNR recommending Albert Casciani, then of Meridiana Restauri, for this work. Sarcofago. 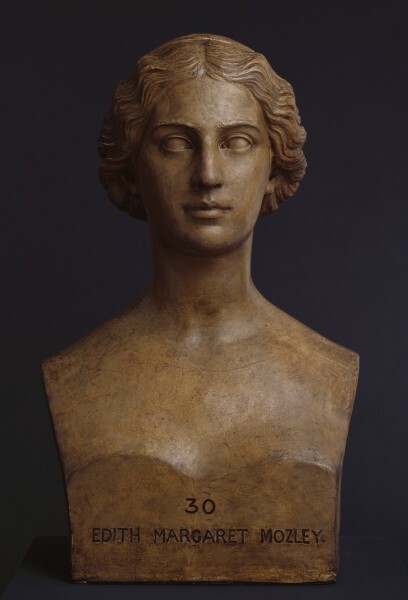 Disegno: Frederic Lord Leighton; Scultore Francesco Giovanozzi; Firma: FRANCESCO GIOVANNOZZI FECE. [sarcofago in marmo e elementi decorativi in piombo su disegno di Lord Leighton eseguito da Francesco Giovannozzi, firma in basso a sinistra. 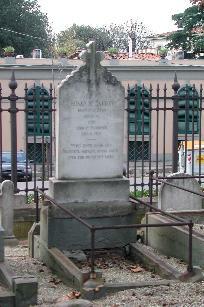 Del fratello, Luigi Giovannozzi (1791-1870), è la tomba della Duchessa d'Albany in Santa Croce]. Sec. XIX, post 1864. Ambito toscano. Sarcofago scolpito con cammeo a simbolo della Poesia, arpe, lira greca (con il Dio Pan bifronte del Giardino Torrigiani), arpa ebrea con catena spezzata, arpa cristiana; intagliato con gigli e fiori delle Isole britanniche, rosa, trifoglio, giunchiglie, rami d'ulivo; sarcofago retto da sei colonne con gigli su disegno di Lord Leighton. Ultimo intervento di restauro, Meridiana Restauri, 2006, recinto in ferro, intervento conservativo sul ferro Daniel Dumitrescu, 2008. Per i disegni preparatori conservati alla Royal Academy Library, ecc., si veda ebbdeath.html [M: A: 105. L 191.2: P: 118.5; P.s. A: 37. L: 212. P: 114.6 Recinto A: 72. Totale: A: 204. L: 191.2. P: 118.5 ] Iscrizione sepolcrale in lettere capitali e numeri arabi in piombo: E.B.B./ OB.1861./ Eglise Evangelique-Reformée de Florence Régistre des Morts: Elisabeth Barrett Browning, l'Angleterre, agé de 45 ans/ Q 459: 271 Paoli, including English Church's tax of 113 Paoli/ Q 479: 90 Paoli paid to Ferdinando Giorgi, Master Mason for digging two graves for EBB/ Records, Guildhall Library, London: GL23777/1 N°293 Burial 01/07 Rev O'Neill, 'bronchitis'/ Registro alfabetico delle persone tumulate nel Cimitero di Pinti: 79. 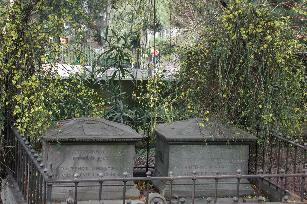 Barrett Browning/ Elisabetta/ / Inghilterra/ Firenze/ 29 Giugno/ 1861/ Anni 45 [incorrect, 55]/ 737/ N&Q 207. E. B. B., ob. 1861. No other inscription/ Freeman, 236-23/ NDNB article/ Belle Arti 1993-1997 scheda/ Henderson/ Webbs: heart attack, morphine poisoning?/ Chiesa Evangelica Riformata Svizzer, 1827-preent. Nulla osta. I paid the Allori stonemason for the stele identifying Elizabeth Barrett Browning's tomb as previously no one could find it. The resin letters immediately fell off. In 2007 a young Romanian Roma, Vandana Culea, came with her sister, her cousin and her mother, and asked to garden, which they did excellently. 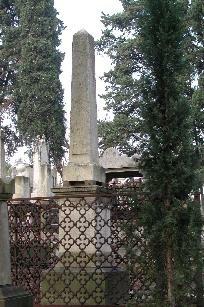 The following year Vandana brought her husband, Daniel-Claudiu Dumitescu, and he restored all the Cemetery's ironwork. 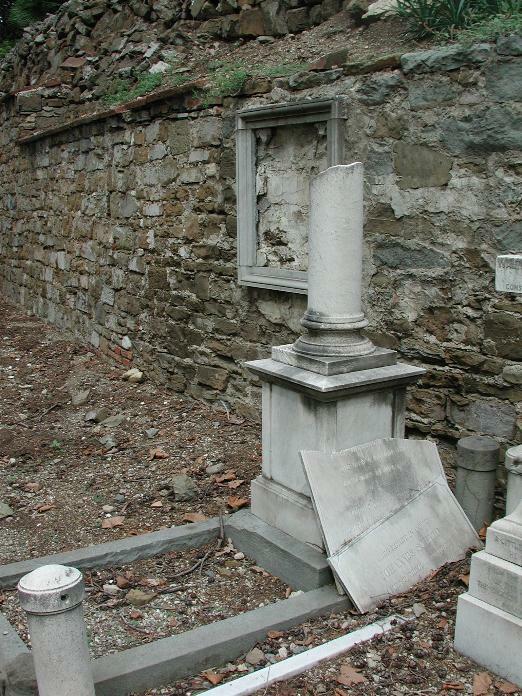 Syracuse University paid Alberto Casciani to restore the tombs of Counts MARIO AND GIOVANNI GIGLIUCCI and their English wives EDITH MARGARET AND CHARLOTTE SOPHIA GIGLIUCCI (C19-22) as they had owned the Villa Rosa in Piazza Savonarola. 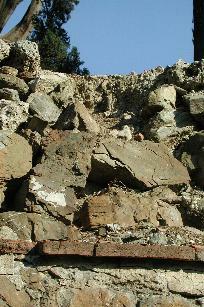 C20/ CONTE MARIO GIGLIUCCI/ ITALIA/ ENGLAND Intervento conservativo sulla pietra serena Meridiana Restauri di Alberto Casciani, 2007; intervento conservativo su ferro e ottone Dumitrescu, 2008. [P.s. : A: 63; L: 176; P: 64; RP.s.F: A: 67; L: 192; P: 192. ][Stemma]/ CONTE MARIO GIGLIUCCI/ PATRIZIO FERMANO/ NATO A FERMO IL 19 NOVEMBRE 1847/ MORTO A FIRENZE IL 13 GENNAIO 1937/ RECTE ET SUAVITER/ Belle Arti 1993-1997 scheda/ °=Kathleen Novello Cashman. Chiesa Evangelica Riformata Svizzera, 1827-present. D30L/ C22/ CONTE GIOVANNI GIGLIUCCI/ ITALIA/ ENGLAND/ Intervento di restauro conservativo Meridiana Restauri, 2008; intervento conservativo su ferro e ottone Daniel Dumitrescu, 2008/ [P.s. A: 67; L: 173; P: 65; RP.s.F: A: 68; L: 192; P: 192.] [Stemma]/ CONTE GIOVANNI GIGLIUCCI/ PATRIZIO FERMANO, NATO A FERMO IL 18 NOVEMBRE 1844/ MORTO A FIRENZE IL 6 DICEMBRE 1906/ VIRTUTE ET FIDE BENE QUI LATUIT BENE VIXIT/ Belle Arti 1993-1997 scheda/°=Kathleen Novello Cashman. Chiesa Evangelica Riformata Svizzera, 1827-present. At the same time I asked Daniel, who is the grandson of the top coppersmith in his part of Romania, to conserve their rusting iron railings. 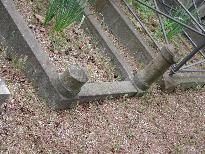 He did this work by hand, scraping off all the rust and finding there were also brass knobs on the tops of the railings. Our restorer, Alberto Casciani, said to now give the iron two coats of anti-rust and two coats of enamel, and for the brass to have a clear varnish. The work was done so excellently that we arranged a work contract for Daniel with our commercialista. 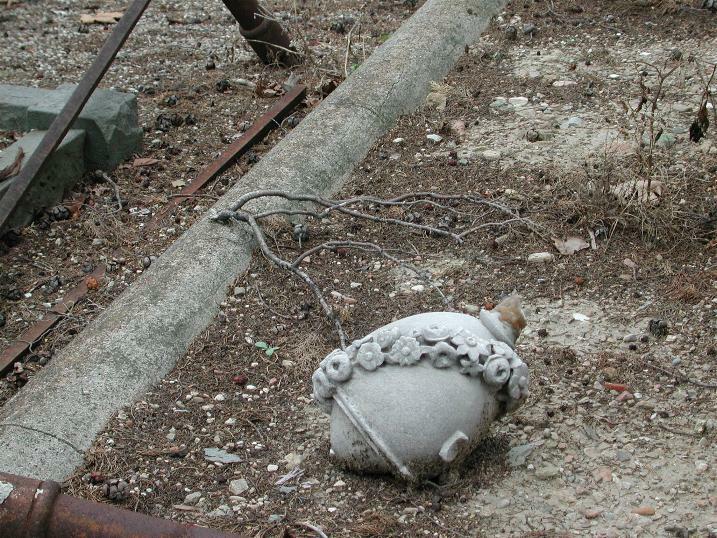 I gave him my electric sander and over the summer he conserved all the iron in the Cemetery, both the wrought and the cast iron work. Among many were these forty-one burials: AGUET (D17), CROSBIE (A20), DELLA TORRE (E97), FIERZ (D3), GILLES-GERMAIN (AB14), GIGLIUCCI (C19-22), GOLIKOVA (F9), GRAY (E40), HARRIS (E36), JARVES (C5), DENNIS (D111), KELLETT (B111-113), TOD (C32), KOEMMETTER (D153), LEMMI (F33), KLEINKAUF/MACDONELL (B96-B97), D'OUSSOW (B12), POWERS (B32), POWERS' children (E56), ROSE (E43), REBESOV (E18), ZUKOVSKY (D36), BERNOVA (D78), WOOD (A98), MEYRVEIS/MEJEAN (D140-142), TRINGHAM SMITH (E23), VIDLER (E42), MORGAN (A96), UNKNOWN (E106), WITAL (D125), which can be seen in the PowerPoint http://www.ringofgold.eu/iron.ppt file giving both before and after images in that order.. The following year, 2009, was a disaster. 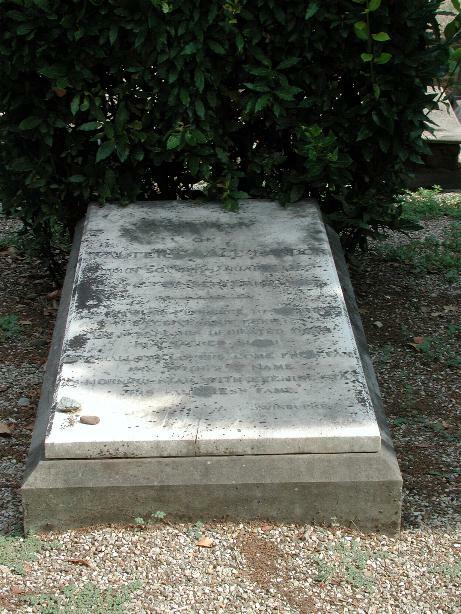 MARCHESA ANN JEANNETTE (BEAUFOY FIELD) RUSCONI/ ENGLAND/ Rusconi Vedova Fabbri nata Beaufoy Field/ Giovanna/ Inghilterra/ Livorno/ 22 Febbraio/ 1864/ Anni 32/ 863/ QUI RIPOSA/ LA MARCHESA JEANNETTE RUSCONI/ NATA DE BEAUFOY FIELD / VEDOVA FABRI IN PRIME NOZZE/ INGLESE DI PATRIA/ . . . LIVORNO/ IL MARCHESE ACHILLE RUSCONI/ DI LEI MARITO/ VOLLE QUI FOSSE DEPOSTA/ PERCHE DORM . . ./ ESULTASSE LO SPIRITO DI CLARA WALSH/ CHE FU CUGINA ED AMICA/ QUESTA LAPIDE /POTESSE . . . / DEFUNTA . 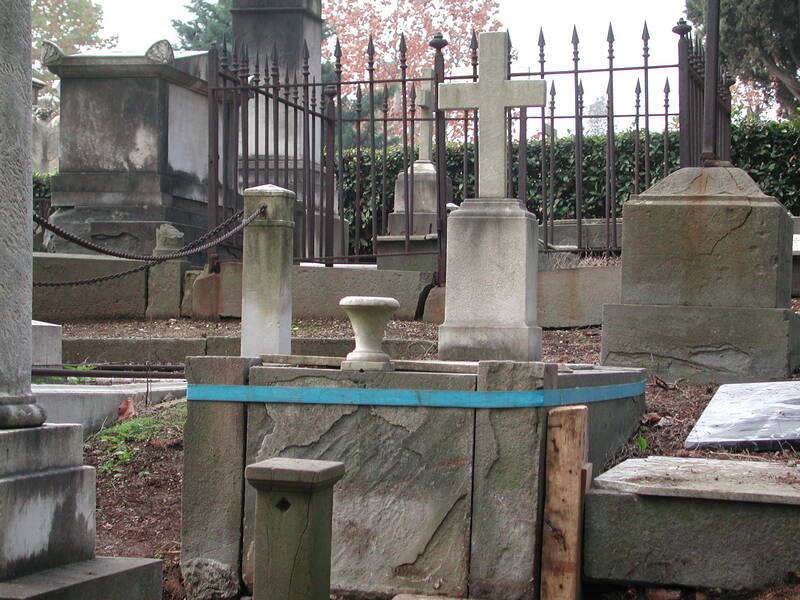 . . / GL23777/1 N° 342, Burial 25/02/64, Rev Isaac King/ A7Q(88)/ See Field Beaufoy, Clara Walsh. 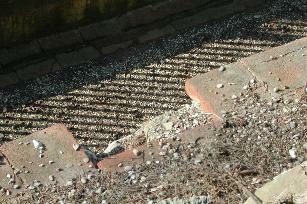 Wrought iron urgently needs repair. ^* PROFESSOR CESARE PAGANINI/ ITALIA/ Paganini/ Prof. Cesare/ Giuseppe/ Italia/ Firenze/ 6 Aprile/ 1872/ Anni 65/ 1164/ peintre, fils de Joseph/ Belle Arti scheda, shows bust on column before its collapse/ E16D / Bust on Column at Istituto per l'Arte e il Restauro, Sculptor: Emilio Zocchi, who was consulted by Giovannozzi on Leighton/EBB tomb and who effected the Santa Croce facade. Steffi Roettgen darà il suo contributo (costo totale dell'intervento) per la pulitura della lastra di Robert Davidsohn oltre alla sostituzione delle lettere mancanti dell'iscrizione sepolcrale. Nel prossimo futuro la Syracuse University porterà a termine il lavoro di restauro già avviato dei quattro sepolcri della famiglia Gigliucci, e curerà la creazione di due piccoli giardini. See in Biblioteca e Bottega Fioretta Mazzei, Clara Novello's Reminiscences, ed. by her daughter, Contessa Valeria Gigliucci, with a memoir by Arthur D. Coleridge (London: Edward Arnold, 1910), Biography Section. 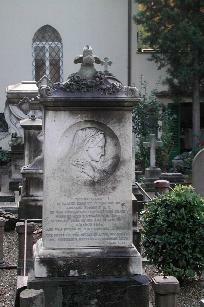 She is the mother also of Counts Mario and Giovanni Gigliucci. 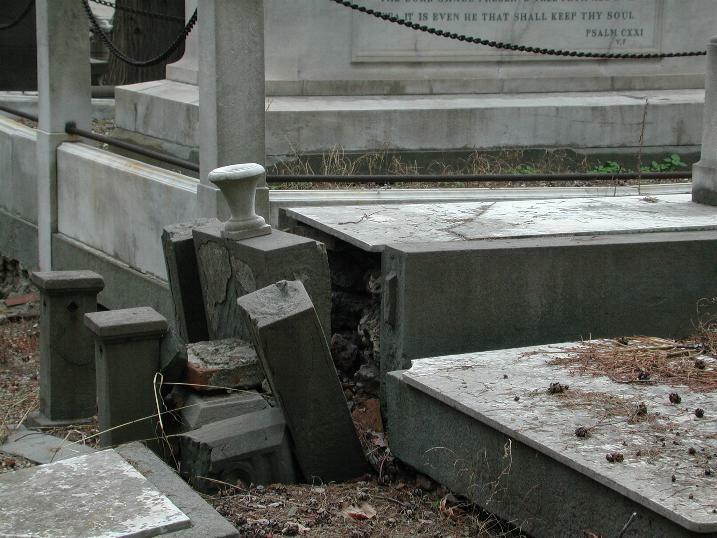 I sought help from the Coop who published an article in the Informer and who arranged visite guidate to raise funds for the Roma to assist in the Cemetery's restoration. And the Readers' Digest also published on us. 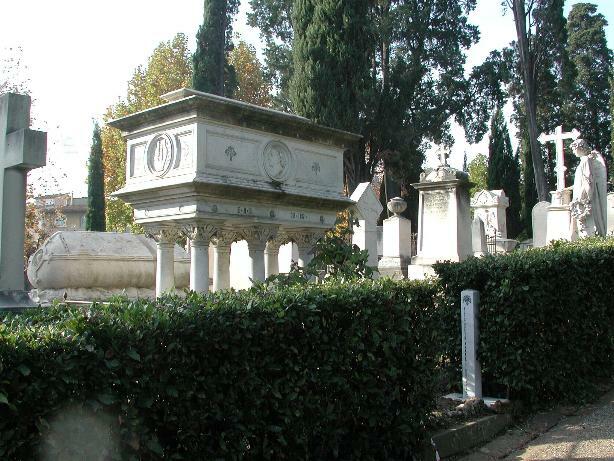 Il cimitero di Porta a' Pinti, detto 'degli Inglesi, Piazzale Donatello, 38, per le Belle Arti è un cimitero monumentale che manca di adeguata tutela e cura, e dunque di un progetto che lo preservi dallo stato di abbandono. La COOP farà visite guidate nel mese di Maggio e desiderà che siano piccoli lavori in corsi durante queste visite. Sia possibile, con l'aiuto di persone sotto supervision, sistemizzare i terrazzi, i muri a secco, i recinti e loro colonne di pietra serena e conservare il ferro dei cancelli e iniziare la pulitura delle tombe durante il mese di maggio 2009. Le colonne sono fratturate e molte in pezzi. Alcune di queste erano messo da parte nel passato, anche usato in un muro. Ora queste possono essere rstaurate alle loro tombe giuste. 1,2,4,5 sono pezzi usati dal Palazzo Spinelli per dimostrare techniche e che il Professor Frizzi non ricorda più da dove sono venuti. 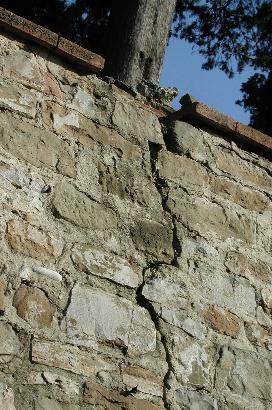 3 sono colonne usate nel muro a secco nel passato che i Rom hanna messo da parte per restituire alle loro tombe quando loro hanno restaurato il muro in 2001. I Rom saranno ottimi a restituire i pezzi sotto la supravisione degli esperti. 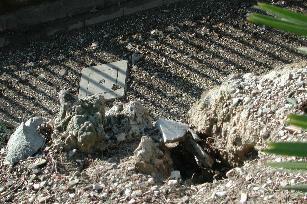 Il ferro delle due cancelli a conservare on ferrox e vernice. Ci sono basamenti di mattone (che preservano bene il marmo sopra loro, meglio della pietra serena) che ora mancano la malta. 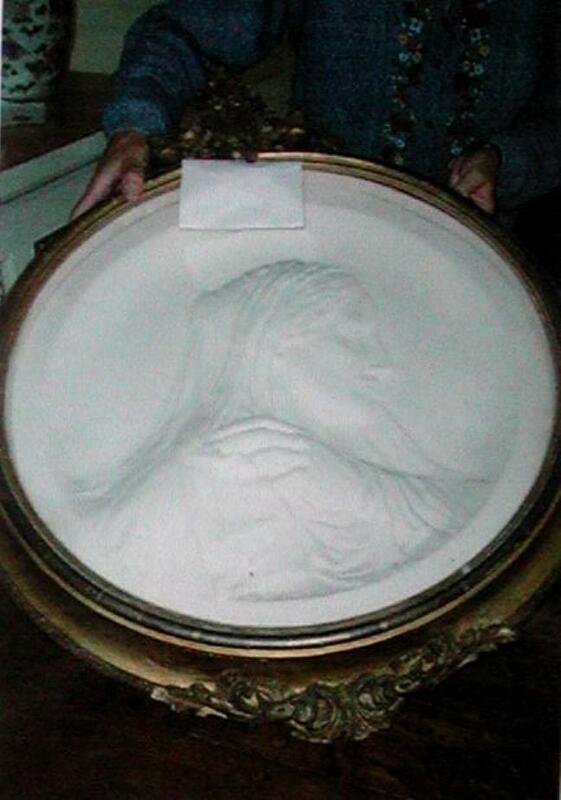 Suggerisco, anche, sotto le lastre di marmo (dove non sono viste) basamenti di mattone. Se noi compriamo mattone/tegole possiamo usare queste anche per il drenaggio del sentiere verso Fiesole. 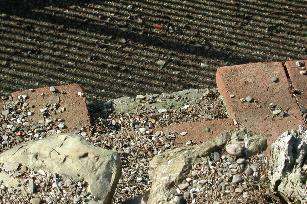 Necessita di terrazzare il sentiere per le tombe russe, ora troppo inclinata. Il sentiere verso Fiesole dalla croce in cattiva condizione e manca drenaggio. Nei muretti molti pezzi delle colonne. 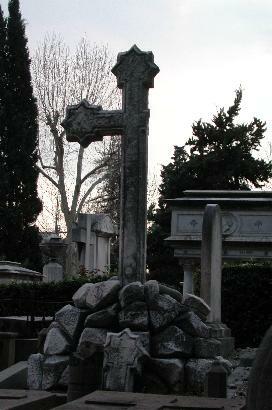 But the Allori Cemetery adamantly forbade the Roma to assist in restoring the English Cemetery. 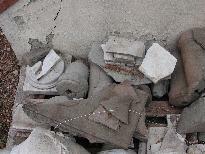 Daniel's family needed to work to earn the roof or the walls would be damaged of the house they were building. 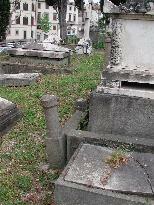 We were 'in cantiere', the Cemetery shut down while loculi for ashes were being built. Vandana, her sister, and Daniel-Claudiu came anyway, showing up at the gate, having used a people smuggler who had taken their passports until they could earn back €300,00 to pay him. 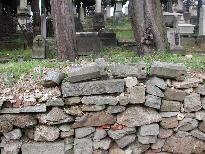 On the days when the Italians were not working I had Daniel re-build a path destroyed by the erosion of the terraced hill alongside the Russian and Romanian tombs and paid him the €300,00 for the work so they could have their passports and return home. 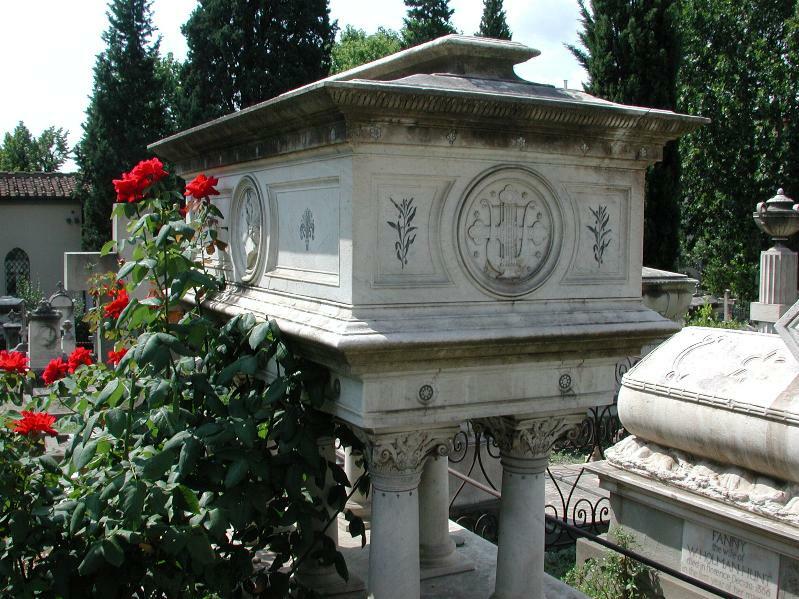 He identified for me the tombs on that path of the two Romanian nobles, JOAN KANTAKUZIN (D81), and POLYDORE VENTURA (D83), who had owned Roma as slaves until the publication of Uncle Tom's Cabin in Romanian. The roof did not get built that year. Instead I sent them money for plastic to protect the walls.